Dr. Edward Lee is a fellowship-trained ophthalmic plastic and reconstructive surgeon, and a board-certified ophthalmologist. He specializes in cosmetic and functional eyelid, brow and midface procedures, as well as orbital and tear duct surgery. Dr. Lee is also a member of the American Society of Ophthalmic Plastic and Reconstructive Surgeons, an organization comprised of the highest trained eye plastic surgeons. Dr. Edward Lee was born in Chicago, and grew up on the East Coast. His family relocated to Seoul, South Korea, where he attended high school. After graduating from Seoul Foreign School with an International Baccalaureate diploma, he returned to Chicago for college and medical school. He completed his undergraduate studies at Northwestern University where he double-majored in English literature and Economics. After graduating from Northwestern University Medical School, he received his residency training in ophthalmology at the University of Chicago, where he also served as Chief Resident and was awarded the Harvey Z. Klein Award for outstanding patient care. 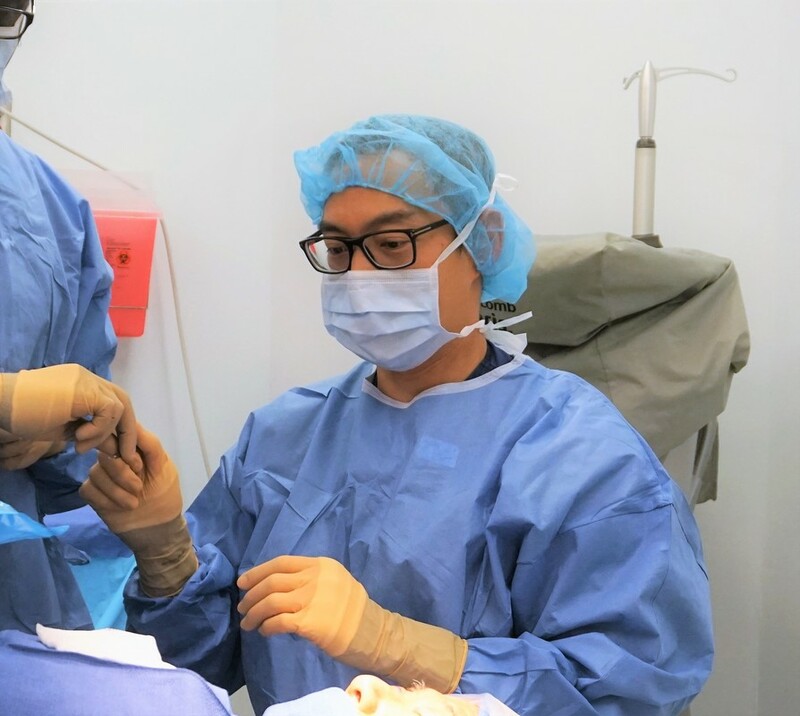 After residency, Dr. Lee completed a combined two-year fellowship in oculoplastic and orbital surgery at the Mayo Clinic in Rochester, Minnesota, and at the University of Minnesota. This fellowship is one of the very few ophthalmic plastic and reconstructive surgery programs accredited by the prestigious American Society of Ophthalmic Plastic and Reconstructive Surgeons (ASOPRS). During his fellowship, he performed over a thousand eyelid surgeries, and 500 orbital and lacrimal procedures. Dr. Lee performs a full range of oculoplastic procedures and has a special academic interest in endoscopic techniques for brow and tear duct surgery, as well as Asian cosmetic eyelid surgery. In addition, he also offers nonsurgical cosmetic treatments with Botox and dermal fillers. During his fellowship, Dr. Lee participated on an ophthalmology mission trip to St. Vincent-Grenadine where he performed reconstructive eyelid and orbital surgery for the indigent. Dr. Lee is happy to be a part of the Serrano Eye Center, which values the importance of medical missions.